I had the opportunity to review this book published by Packt Publishing and written by Kevin L. Sapp. 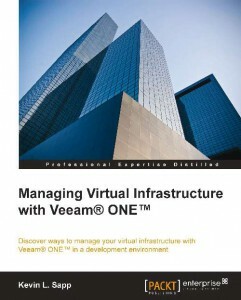 This book provides you with steps to install and configure Veeam ONE. From configuring this product to generating reports. It is all described in detail as we are accustomed from Packt books. 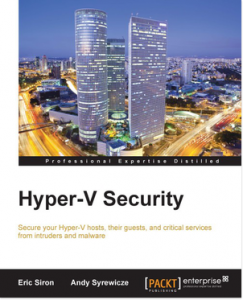 However, if your looking for troubleshooting tips this book will leave you with some unanswered questions as this book has only basic troubleshooting steps. It is a good read and explains all the basics you need for a basic installation and configuration of Veeam ONE. season with an even bigger $5 offer. From Thursday 18th December, every eBook and video will be available on the publisher’s website for just $5. Customers are invited to purchase as many as they like before the offer ends on Tuesday January 6th, making it the perfect opportunity to try something new or to take your skills to the next level as 2015 begins. With all $5 products available in a range of formats and DRM-free, customers will find great value content delivered exactly how they want it across Packt’s website this Xmas and New Year. Author JackPosted on October 16, 2014 July 10, 2016 Categories XenAppTags 3612, 3632, 3889, Citrix XenApp failed to connect to the Data Store, event id, XenApp 6.5Leave a comment on Citrix XenApp failed to connect to the Data Store.